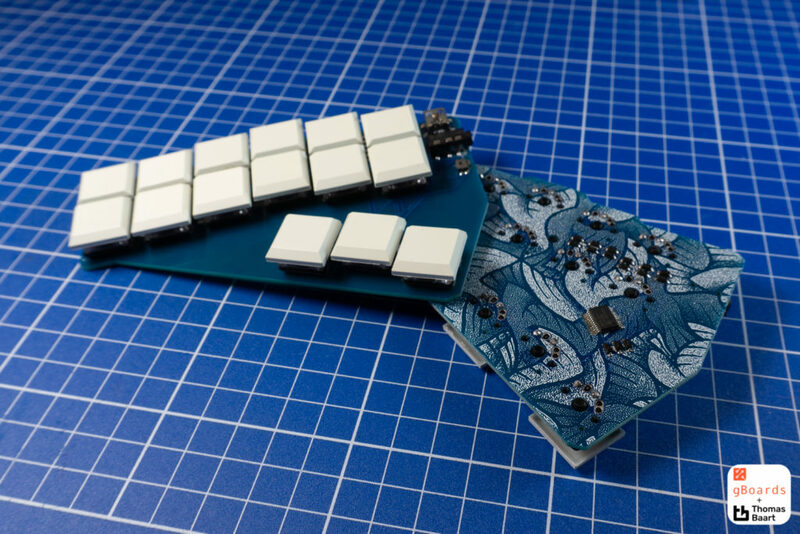 The Georgi is one of the recent newcomers to the market of split stenography keyboards, made by gBoards.ca. One of the main goals of the Georgi is to be low profile. As such, it doesn’t ship with a case: The general idea being that it’s sturdy enough for what it is. And while that’s definitely true, some people do prefer their keyboards in an enclosure: there are less exposed bits so it’s friendlier to handle. To that end, Jeremy Bernhardt of gBoards asked me to design a case that keeps the low profile characteristic of the Georgi. The Georgi, designed and manufactured by Jeremy Bernhardt from gBoards.ca. I added a straight edge to the top of the board so it’s easier to carry: less edges mean it won’t snag on things as easily. The corners of the case are filleted generously for easier handling, including the corners near the USB and TRRS jacks. Side view of the acrylic case. The large cutout provides access to the USB and TRRS jacks as well as the reset button. The case is mirrored for the other side to provide symmetry. Since the board uses low profile Kailh Choc switches, the often used acrylic sheet thickness of 3mm doesn’t apply here. Instead, the case is composed of three layers: the plate and bottom being 2mm thick while the middle consists of a single sheet of 4mm thick acrylic. 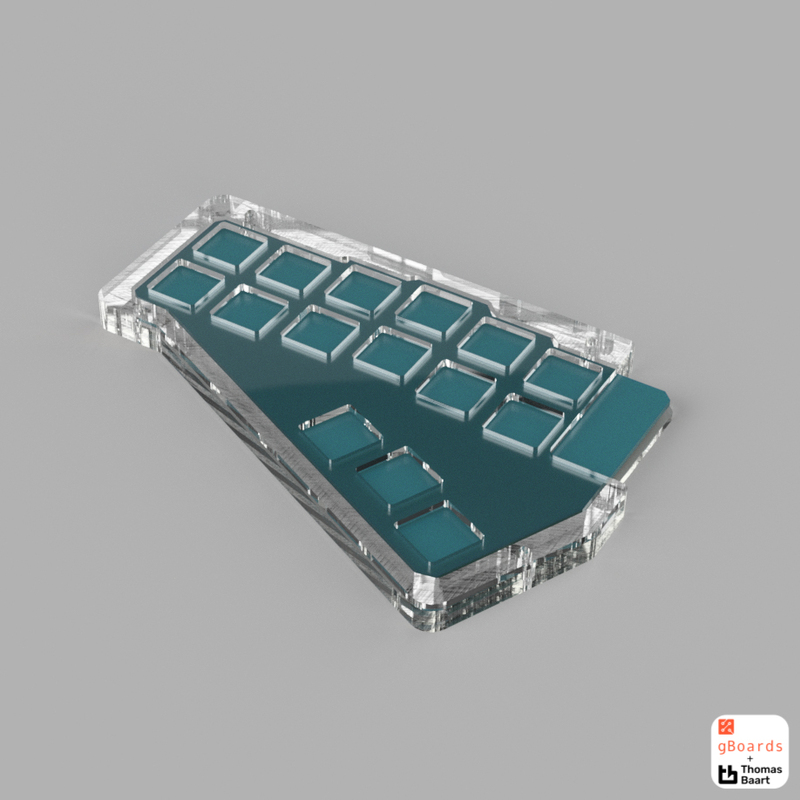 Would you like to have a custom case design for your split keyboard or macropad? Get in touch! Check out my portfolio, find me at Discord, send a message through Reddit or send me an email.